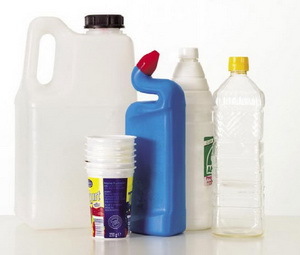 Plastic is the generic name shared by a particularly large amount of materials that today have a wide and capillary diffusion and of which we have a daily experience, sometimes without even realizing it. Plastics, just because they are distinguished in many groups and subgroups, are extremely versatile. This means that they can be used in many different situations. If we think, for example, of the plastic used in our cars, probably the first application that comes to mind is the instrument panel and the dashboard. On a second thought, even the seats are covered with a plastic material, suitably transformed to become a fabric. Not to mention the padding, which is a plastic foam to become soft. It’s more difficult to associate the plastic to the bodywork, that instinctively we catalog as metal, but that too, in hindsight, is plastic coated, being the paint yet another variation of this ubiquitous substance. As you can see, an article that wanted to speak comprehensively and thoroughly of all kinds of plastic nowadays used in various fields, would end up being quite long and tedious. But I think that it could be interesting to know something more about the plastics with which we have direct experience everyday. So we speak of packaging materials, those that are used to package our foods, to contain soft drinks, shampoo and bath foam and so on. In the next section we give the floor to the chemist to understand in general, what it is made of plastic.